The premium Imprinted Therm-O Totes are stylish and super spacious. 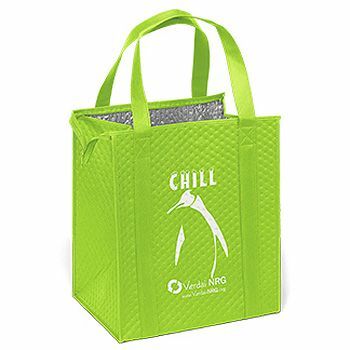 Available in insulated style, these bags can be used by businesses for promotion or as courier or carry bags for their customers. And if you run a store, these totes will be ideal for handing over to customers so they can keep their items safe. The Imprinted Therm-O Totes are designed to perfection using premium quality polypropylene. Its insulated build makes it ideal for carrying beverages. 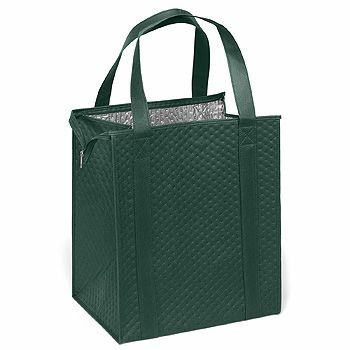 Furthermore, the bag comes with a high quality plastic bottom insert that keeps your items protected from damage. The reinforced handles offer superior grip, ensuring maximum safety for your items. You can also customize these bags with your brand logo and tag line to enhance brand visibility, image, and exposure.